Recently, Dan told me he’d seen a photo of Cass using a custom roll-top framebag from Porcelain Rocket. 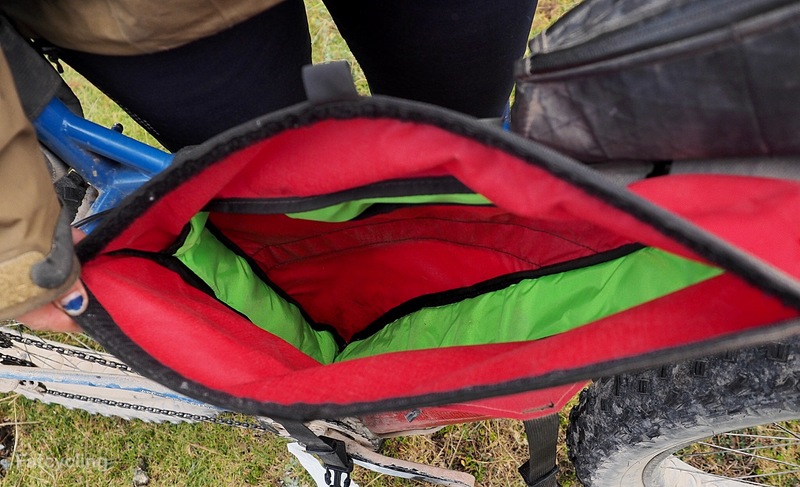 Without much forethought, we had purchased regular zipped frame bags for our trip. In retrospect, zips are always prone to failure. 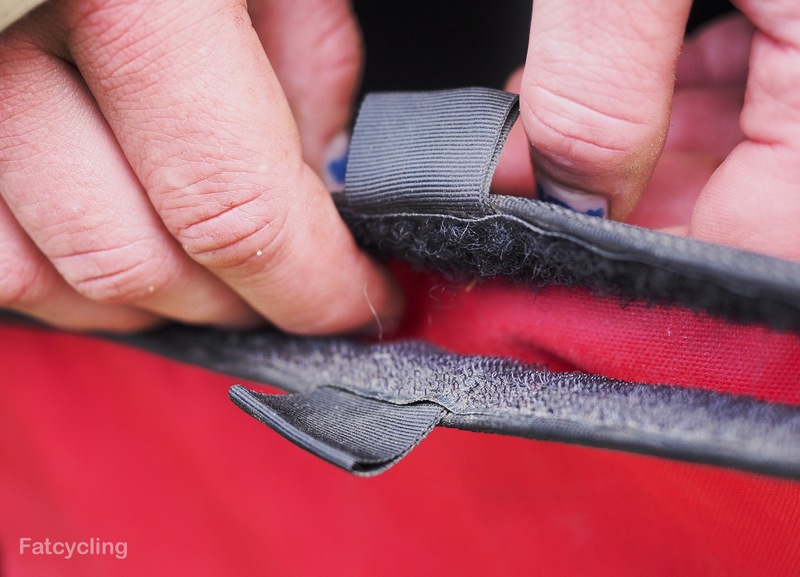 Extended use, especially on bike bags that you open several times every day, can degrade the zips. I kept having problems with my zip (fraying) and decided to inquire about the custom roll-top frame bags at Porcelain Rocket. Without hesitation, Scott sent one down to me (along with the camera slinger for Dan). I am very grateful for this sponsorship as frame bags aren’t cheap, and extremely thankful to be dealing with the simplicity of a roll top. When I finally held it in my hands I was astonished by its lightness, and wondered if it would sacrifice durability. It has proven to be great! You can stuff it, roll it up, and then clip two straps overtop to keep it all neat and tidy. The sheer amount of stuff you can fit in this thing is fantastic, and no more trying to zip up an overstuffed frame bag. Buckles on the back side allow you to really snug up your contents. A nice velcro keeps everything tidily together when rolling up the top. 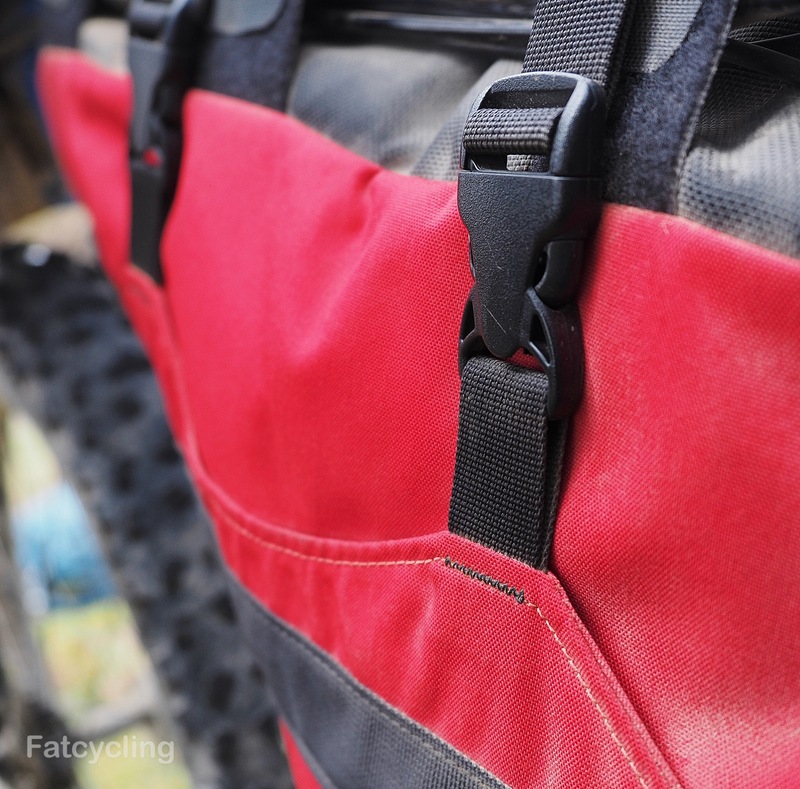 The roll top allows you to pack more than a zipped frame bag would. 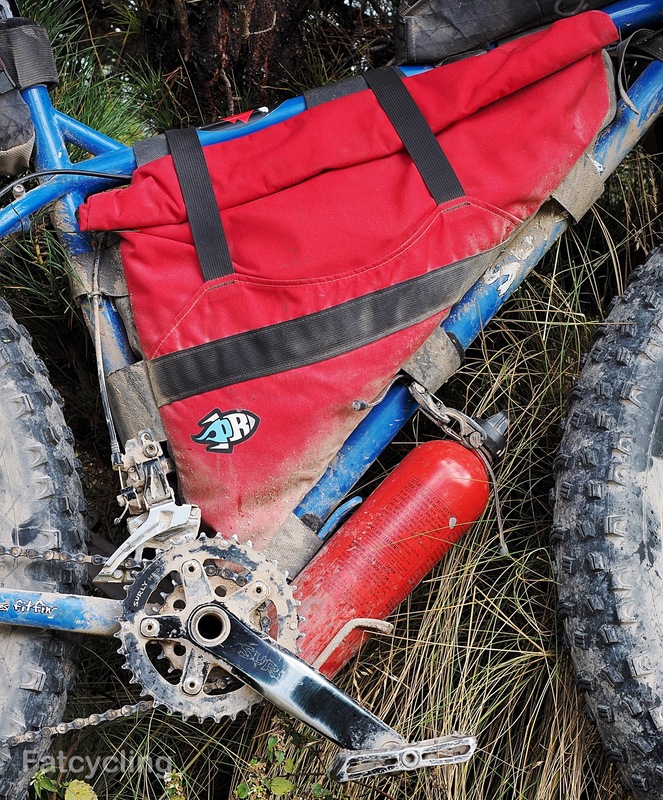 If you’re interested in Scott’s “Orbiter” roll top frame bag, check out his website. Everything he makes is of extremely high quality and we’ve only ever heard good things about the rest of his gear. I enjoyed reading about your trip… let me know if I could be of any assistance when you get closer to Argentina! Thanks! It’ll take us awhile to get down there. Hopefully our paths will cross.